"Perhaps the chief argument used in favour of vaccination is that of "authority." It is said that the medical profession are in favour of vaccination, that they know all about it, and it is folly for anyone who has not been medically trained to have an opinion on the question. If such is the standard of authority then "authority " is on the side of the anti-vaccinators. We have the opinion of the late Dr. Collins, who was a public vaccinator, but who resigned that appointment because he considered vaccination did great harm and no good, and he wrote a book to prove his case. We have the opinion of Dr. Creighton, who was employed by the publishers of the "Encyclopaedia Britannica " to write an article on the subject of Vaccination ; he thereupon made a careful study of the question, and came to the conclusion that vaccination was not only useless, but dangerous. There is Professor Edgar Crookshank, who has published two ponderous volumes on "The History and Pathology of Vaccination," a work which he undertook in order to demonstrate the scientific basis of vaccination ; but the result of his inquiry was to show that there was no scientific basis for the practice, and he expressed the opinion in his book that the practice would fall into desuetude. * Then we have the opinion of Dr. Walter Hadwen, of Gloucester, who has made a special study of the question of vaccination, and who also has decided that it is both useless and dangerous. Then we have the opinion of Sir William Collins, a medical man of the highest eminence, knighted on the occasion of the King's coronation, who also considers that vaccination is a bad thing. Then we have the opinion of Alfred Russel Wallace, LL.D. Dublin, D.C.L. Oxon., F.R.S., &c, that "Vaccination (is) a Delusion, its penal enforcement a Crime." The names I have mentioned above constitute, indeed, an authority worthy of respect." Vaccination and the State By Arnold Lupton MP. "Every great advance in natural knowledge has involved the absolute rejection of authority."--T.H. Huxley. 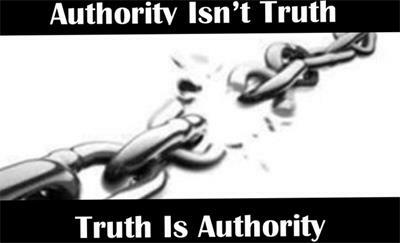 "The fallacy of authority is believing things to be true because of the authoritative source of the information. It must be true because I read it in the paper, saw it on television, the surgeon said so, The Lancet published it. Authority is deeply rooted in medicine because the patient seeks advice in order to obtain an explanation which is more credible than that of friends and relations.